26 October 1993 is the title of an artwork created in 1993 as a collaboration between English artists Henry Bond and Sam Taylor-Wood both of whom were involved in the Young British Artists or YBA scene of contemporary art. 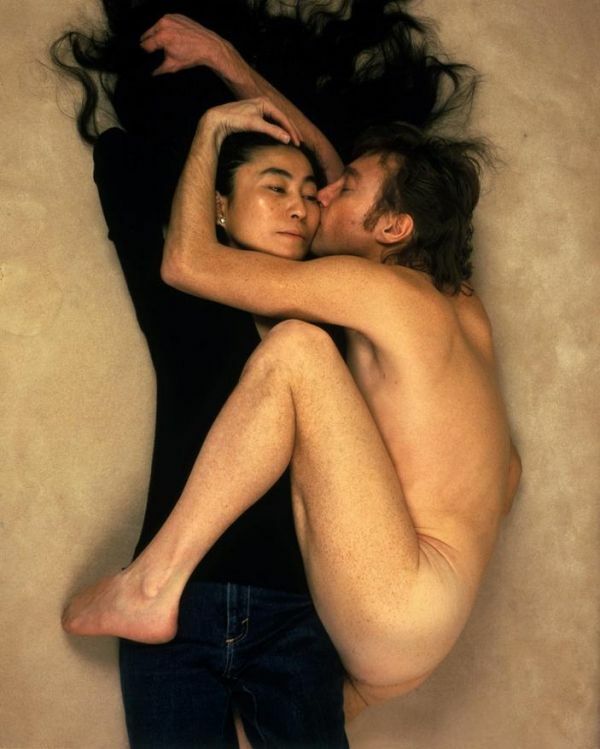 It consists of a pastiche or remaking of a well-known photographic portrait of John Lennon and Yoko Ono that was made by Annie Leibovitz a few hours before Lennon’s murder. The work refers to naïve 1960s idealism, though not entirely mockingly, rather asking the viewer to contrast the situation in the 1990s with the 1960s … for such artists, it is clear we are living in a time of the twilight of ideals. The bizarre thing is that I’d completely forgotten about that piece until it was brought up in an interview … I don’t remember what drove us to make it. Must have been high concept in there somewhere, but God knows what it was. I guess there’s a running interest in male vulnerability in my work, so maybe it’s just that. The authorship of this artwork has been contested with both artists, at different times, assuming control of the image and asserting origination/intellectual property; indeed, it has been suggested that the photographer that the pair hired to shoot the photograph also later claimed authorship of it. Sam Taylor-Wood befriended Yoko Ono in 2009, during the making of Nowhere Boy, her acclaimed film about John Lennon’s early years. They are survivors. Somehow, Yoko has lived through Lennon’s assassination (on 8 December 1980). Sam has coped with cancer (colonic and breast). Each woman has experienced painful separation. Forty-five-year-old Sam’s father then mother left her when she was a child. Yoko’s daughter Kyoko was abducted by her second husband, American art promoter Tony Cox, when she was eight and Yoko did not see her again until Kyoko was 31. Yoko also had to weather the disapproval of conservative, aristocratic parents when she first got together with Lennon. They put out a press release saying: “We are not proud of Yoko Ono.” On a more trivial level, there is the older woman tag they have had to live with – Yoko was seven years older than John; Sam Taylor-Wood is more than twice the age of 22-year-old Aaron Johnson, who played John Lennon in her film and is father to two of Sam’s four daughters. There is going to be so much to talk about.